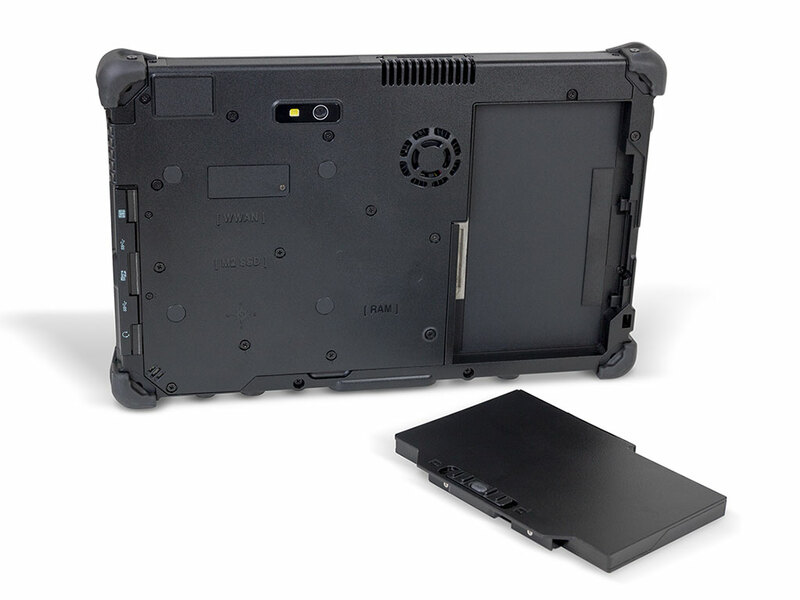 The Ares TufTab® (pronounced Air-Ease) T11X Tablet features a fifth generation Intel® Core™ i5 processor for superior performance, runs Windows® 10 Pro, Windows® 8.1 Pro and Windows® 7 operating systems, sports a 1366×768 LED backlit display with 10-finger touch and chemically strengthened tempered glass, plus an optional digitizer pen with palm rejection for superior productivity. At less than an inch thick, spill proof and dust proof (IP65 rated), meets Class 1 Division 2 certification for use in hazardous environments, and is MIL-STD-810G compliant for superior durability and usability, the Ares TufTab is the ultimate technological companion for nearly any environment. Additionally it features a high bright, outdoor readable screen option, advanced Wi-Fi and LTE wireless networking capabilities, advanced data collection expandability and long battery life; all while weighing under 2.75 lbs.Armed with an Ares TufTab T11X, your workforce will be productive and connected no matter where their job takes them.